NewTek has a long history of giving people the tools to create their own shows. Everything we’ve done – and continue to do – starts with the conversations we have with people who are looking for new ways to entertain, inform, and engage with audiences – and make money doing it. Today, you can build a webcast network in your garage, start your own television channel, produce a live event, and stream it to all your Facebook fans. Discover ways to make money through online ads, sponsorships, or subscriptions. Bring home an Emmy® for the work you do. 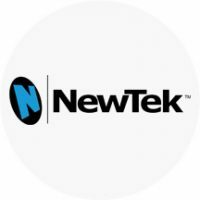 NewTek customers are doing all this, and more – and we’ve got their backs every step of the way.